When the hemp-derived cannabinoids in these sprays and rubs interact with the receptors in your own endocannabinoid system, they can help relieve pain, inflammation, and stress. It’s like a high for your skin. Made in the USA. Dimensions: 2.13" diameter x 1.63"
Ingredients: Caprylic/Capric, Triglyceride, Hemp Seed Oil, Cannabinoid Extract, Jojoba Seed Oil, Lavender Oil, Eucalyptus Leaf Oil, Menthol, Coconut Oil, Peppermint Oil, Rosemary Leaf Oil, Lemon Balm Seed Oil. 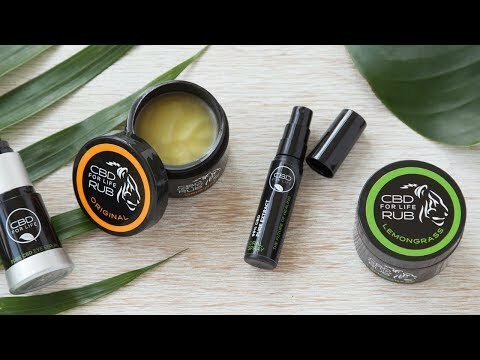 CBD rub under my nose. It worked like "Vics Vaporub", only for my sinuses, rather than my lungs. This tub has really helped my amazing dad who just turned 80!! He has had back pain and the pain has caused him to have sleepless nights. I gave him a jar of the CBD rub lemongrass and it has helped him to be able to sleep through the night!! I am so grateful!! CBD Spray- Amazing on calming pain. This product works great. Bought twice now for both of us. Give your skin a high. CBD moisturizers, hair products, and pain relievers are rich in vitamins and omegas that nurture, revitalize, and even soothe. And they’re Made in the USA. Cannabinoids are extracted from the stems and stalks of industrial hemp, then mixed with essential oils and other natural ingredients, making a healthy, nourishing recipe. Because it’s hemp-derived, it’s not psychoactive like the THC that’s found in marijuana. Instead, the cannabinoids interact with the receptors in your own endocannabinoid system. This helps hydrate, cleanse, rejuvenate, reduce inflammation, and soothe. The idea for making this type of body care came to one of the Makers after using cannabinoids for scoliosis pain. She noticed it not only soothed the ache, it also made her skin clearer and softer. So she teamed up with a chemist to perfect this formula. 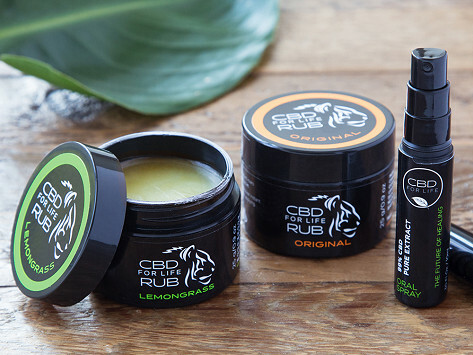 Besides the positives in all of CBD for Life’s creams, rubs, and sprays, they omit all the bad stuff. They’re completely free of GMOs, formaldehyde, parabens, and artificial coloring that are commonly found in beauty products. Your skin thanks you in advance for the pampering.